The 2019 Toyota Tacoma TRD Sport is a high-octane trim level for the Toyota Tacoma. This model puts the pedal to the metal with its impressive performance standards. It also has a lot of fun features to help make the trip more enjoyable. We want to tell you about the 2019 Toyota Tacoma TRD Sport specs and features and how they benefit you. Let’s take a look. The 2019 Toyota Tacoma TRD Sport comes standard with a 3.5-liter V6 engine. This engine delivers 278 horsepower and 265 pound-feet of torque. If you need some extra power, the 2019 Toyota Tacoma TRD Sport has you covered. The Toyota Tacoma TRD Sport can also tow what you need. 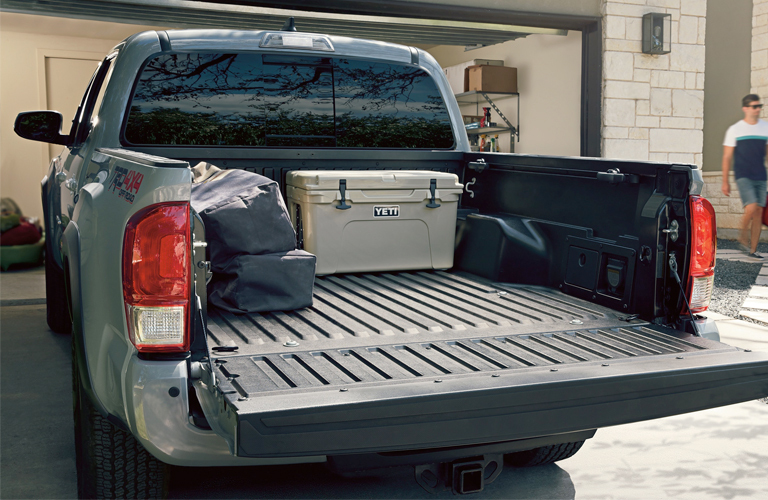 With the Tacoma TRD Sport, you can tow up to 6,700 pounds. Take your family on a vacation with everything you need inside a new Toyota Tacoma TRD Sport. 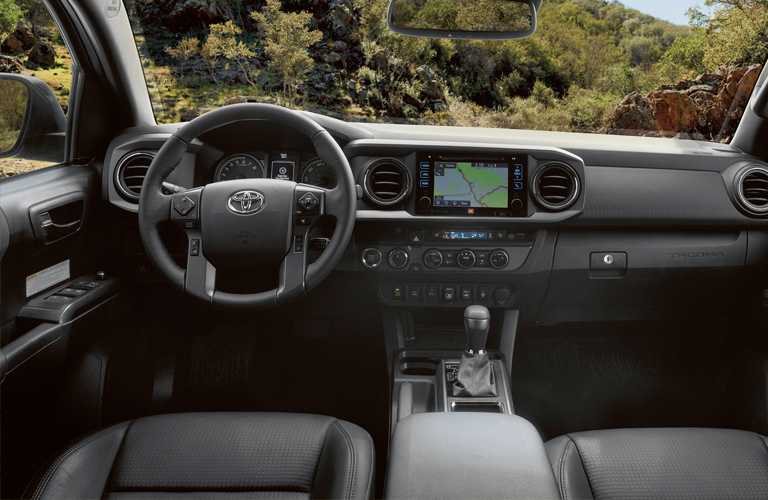 When you sit inside the new Toyota Tacoma TRD Sport, you can relax with its comfortable amenities. The Entune™ Premium Audio with Integrated Navigation and Entune® App Suite is designed to give you more control over your music choices and how you reach your destination. It comes standard with 7-inch high-resolution touch-screen with split-screen display and Predictive Traffic and Doppler Weather overlay. That way you can better prepare for the road ahead. You can also enjoy the SiriusXM® Satellite Radio and Bluetooth® technology. The 2019 Toyota Tacoma TRD Sport specs and features are great ways to give you a better driving experience. If you would like to learn more about the 2019 Toyota Tacoma or any of our other Toyota models, you can check out our online inventory to see what we have in store and schedule your test drive with us at Baierl Toyota today. How much does a Tacoma weigh? This entry was posted on Monday, January 28th, 2019 at 9:06 pm	and is filed under Tacoma. You can follow any responses to this entry through the RSS 2.0 feed. You can skip to the end and leave a response. Pinging is currently not allowed.